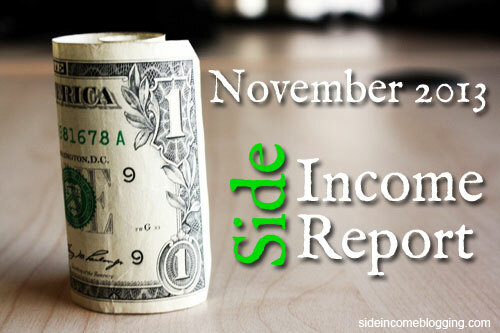 This Side Income Report, as many of you may note, is way overdue. Due to focusing on my full-time job, my family, some services work, and our Blue Ridge Mountain Life website, I just haven’t spent much time here on Side Income Blogging. With the holiday season wrapping up though, I’m going to get back to publishing some really high quality content for you at least twice a month. The income numbers below represent income from all of my sites and my services work as well. The $0 in services work is primarily due to being year-end. My services/consulting work generally declines towards the end of the year, but then picks back up in January. I’ve also been spending far more time focusing on my websites and generating more passive income, as that is where I would really like my longer term business model to be. EBay Partner network earnings are basically dead. EBay changed their affiliate payment model, and frankly it’s all by killed earnings. I have two niche sites that where using EBay as a primary source of income, but with the recent changes, I am most likely going to just shut them down. I am encouraged by Adsense, as this was the second month in a row where I made the $100/minimum for Adsense payout. November 2013 Net Income, a very low: $361.44. While not my lowest month of the year, it was certainly very low. On the flip side though, my side income work is all supplemental income, and frankly anything earned is icing on the cake, so I’m certainly not complaining. Plus I really enjoy the work. I’ll publish a December earnings and year end summary update within the next week, so stay tuned. I sincerely hope each you had a Happy Holiday season, and wish you a Happy New Year! I’m excited about how 2014 is going be for me, how about you? How where your 2013 earnings? Just a quick Q – why & how do you pay so much for hosting? Why? I have about 14 sites in total, not including various subdomains. I have to use that level of VPS server to get good performance, and avoiding exceeding VPS memory limits.